Home News Bitcoin News Microsoft’s New Identity System | Built With Bitcoin’s Lightning Network? Microsoft’s New Identity System | Built With Bitcoin’s Lightning Network? 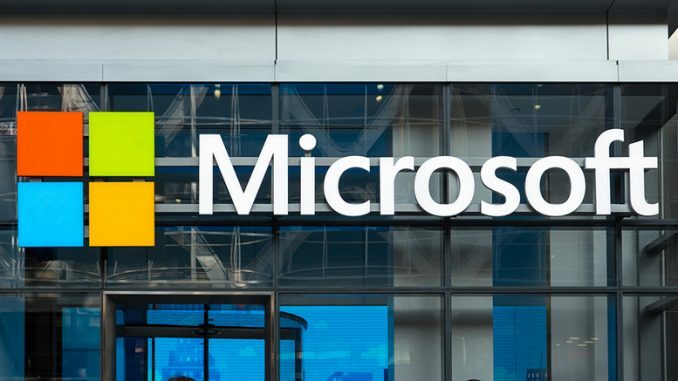 Microsoft’s New Identity System: Microsoft, the world’s sixth-largest IT company, announced its blockchain-based distributed identification system at Consensus Conference 2018, The identification system is used to monitor cryptocurrencies and the stock market. For Bitcoin, this news may be particularly encouraging because Microsoft developers hinted that they would use real Bitcoin chains to build platforms. Although Microsoft founder Bill Gates bluntly criticized cryptocurrency and called it “nonsense”, the company still chose to enter the blockchain field to promote its authentication process. Ankur Patel, chief project manager of Microsoft’s authentication project team, is the leader of the incubation project. He explained in the blog how important the project is to people and how blockchain technology will provide an easy-to-use self-owned identity to fully control the access and use of data. Microsoft’s new project hopes that trust comes from individuals and communities, rather than from identity authentication and access management as traditional identity systems do. The company has begun to participate in the establishment of the Distributed Identity Foundation (DIF) to build a distributed identity ecosystem based on standard open source technologies, algorithms, and reference data. Patel said his team is collaborating on the development of distributed identifiers (DIDs), identification centers, universal DID parsers, and verifiable certificates. Patel said that the team needs the underlying technology to achieve the same scale operation as the traditional system, but in some blockchain communities, as the volume of transactions on the chain increases, the distributed state of the network also declines, making it impossible to achieve millions of trading volume per-second. To overcome these technical hurdles, Microsoft is “running these distributed layer 2 algorithmic protocols on these public blockchains to achieve global-scale volume while maintaining the attributes of world-class DID systems.” Through this statement, social media on Reddit, specifically the Bitcoin community, suspects that Microsoft may use the Bitcoin Lightning Network to build an identity system.